Various mindfulness and meditation techniques have become increasingly popular in recent years as people search for counterbalance for their stressful everyday lives. Moreover, there is a constant flow of new research results speaking for the undebatable health benefits and improvements in mental clarity that come from meditation practice. So what is this fuss around meditation and why is it so important? 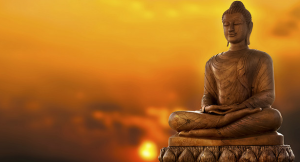 Buddha started teaching meditation over 2,500 years ago for people to move from suffering to freedom. Ultimate freedom is attained by developing awareness of the self and accepting all emotions that flow in your body, be it positive or negative. Thus, meditation focuses on observing your body, mind and the surrounding world by overcoming mental obstacles and fears and accepting all emotional states. And most importantly, make you happier! What Is Mindfulness Of Breathing Meditation? Mindfulness of breathing meditation is a Buddhist meditation technique, which concentrates on relaxation and breathing to improve a person’s emotional control and cognition. By drawing attention to the breath and letting all emotions and problems slide through the mind, you will weaken your thoughts and find some inner peace and an improved state of concentration. 1. Find a quiet place. Pick a nice quiet room where you will most likely not be disturbed. 2. Sit in a comfortable posture. Sit on the floor with your legs folded, your back straight and rest your hands on your knees palms facing up. 3. Close your eyes and focus your attention on your breath and relaxation. 4. 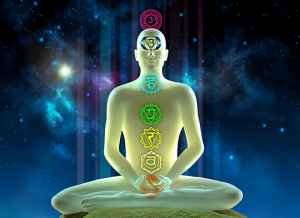 Observe any discomfort or thoughts in the body while maintaining focus on the breath. 5. Practice for around 15 minutes a day. Try to extend the time of your practice by 5 minutes every week until you find yourself meditating 45 minutes a day. 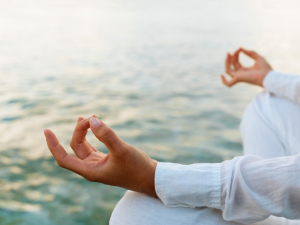 In order to reap the real benefits of meditation, you will need to practice regularly. But wait – 15 minutes a day is not as daunting as it may sound! Just make meditation part of your daily ritual, set some time aside for yourself, sit down in a quiet place and attend to your practice in the right state of mind. Start slow and don’t worry if you keep getting distracted. After a few days, you will notice how your mind becomes clear from all distractions and your brain will attain a sharper and more focused state. And all this from only a few minutes of silence!